Sleek and lightweight with three white light brightness levels and a 365nm UV beam, the Fenix LD05 V2.0 Flashlight is suited to a wide range of uses, including health care, auto repair, and document authentication. 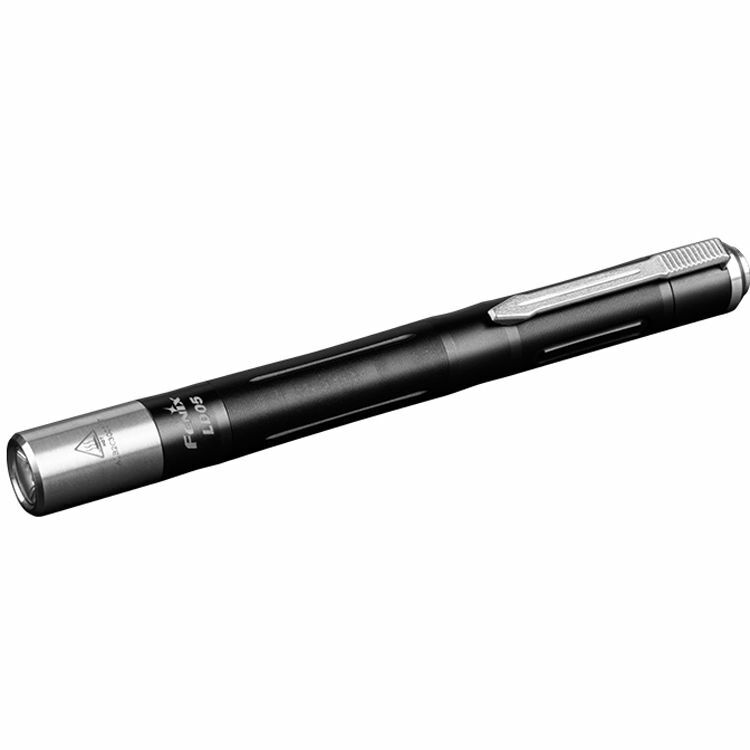 The aluminum-bodied penlight has a Type III anodized abrasion- and corrosion-resistant finish and a stainless steel light head and tailcap switch. White light runtime on two AAA batteries ranges from 1.6 hours on high to 70 hours on low, while UV runtime is 9 hours. Equipped with a pocket clip, the LD05 V2.0 is O-ring sealed, rated IP68 water resistant, and impact resistant to 3.3'. Box Dimensions (LxWxH) 7.2 x 3.4 x 1.2"